Painting is an amazing endeavor that I learn all my life’s lesson from. When painting, if you focus attention on the details, you quickly get stuck and lose site of the whole. You can’t rest your attention in a particular spot, you have to be scanning the whole, taking it all in, developing the entire painting as you go. Awareness, not attention to detail. Awareness is a gift; attention to a given spot gets you stuck. Don’t get stuck on a seeming mistake, let your paintings develop organically, holistically. If one spot isn’t quite right, leave it be and turn to another area of the piece, then return to the unresolved area and see if it has indeed resolved itself. More often than not, it will have. Paintings, like everything else, are a series of relationships; color, shapes, elements in relationship to one another. Nothing in your painting exists on it’s own. Not one thing. So, making a judgement on one element makes absolutely no sense. All of it must be seen as a whole. There are no clouds without the sky, no shadows without the light. 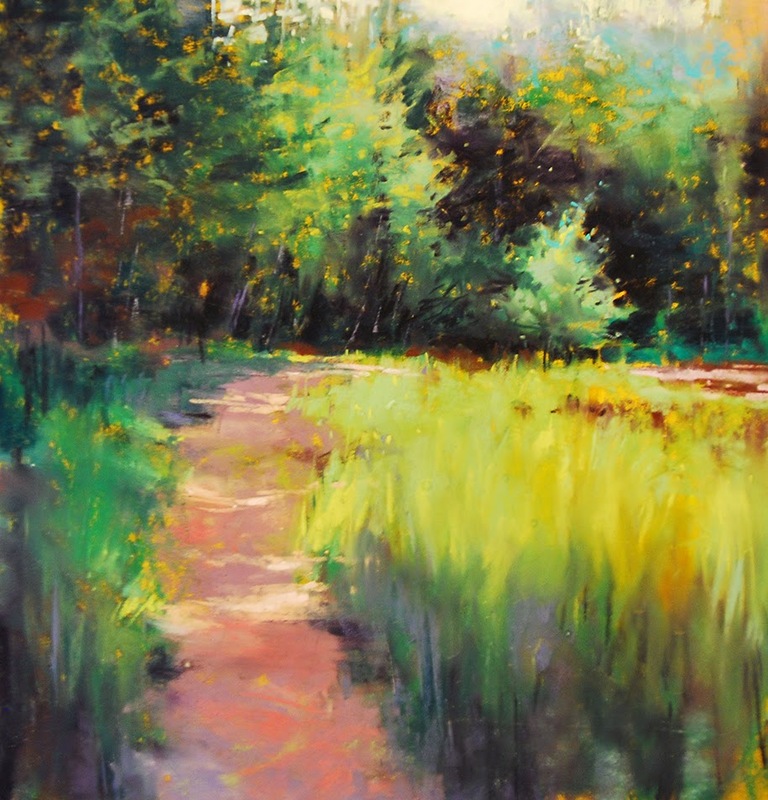 Summer Walk available thru DPW $150. Ok, now for the shameless self promotion part of this post. Not only do I have a new website: marlabaggetta.com, I also have a new Etsy Store called SpiritforArt https://www.etsy.com/shop/SpiritforArtSpiritforArt. This shop is featuring my florals, goddesses new explorations. I’m also posting demos and small works on Daily Paint Works;http://www.dailypaintworks.com/Artists/marla-baggetta-3840. It’s about time I got this going! Well said. . .both your observations on painting and your self marketing. Great post Marla! Thank you for the reminders to not get stuck on the details. Life will flow much better staying aware of the wholeness!